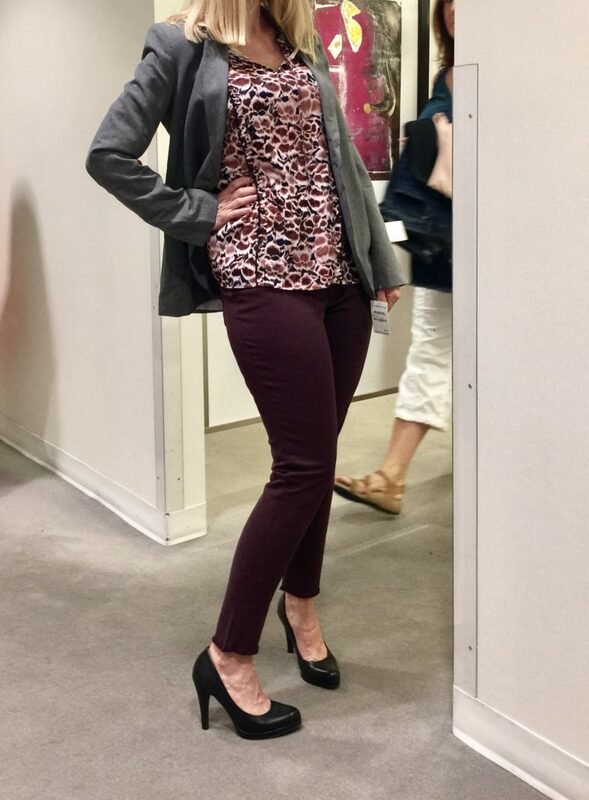 Nordstrom Anniversary Sale 2018 Dressing Room Selfies here! 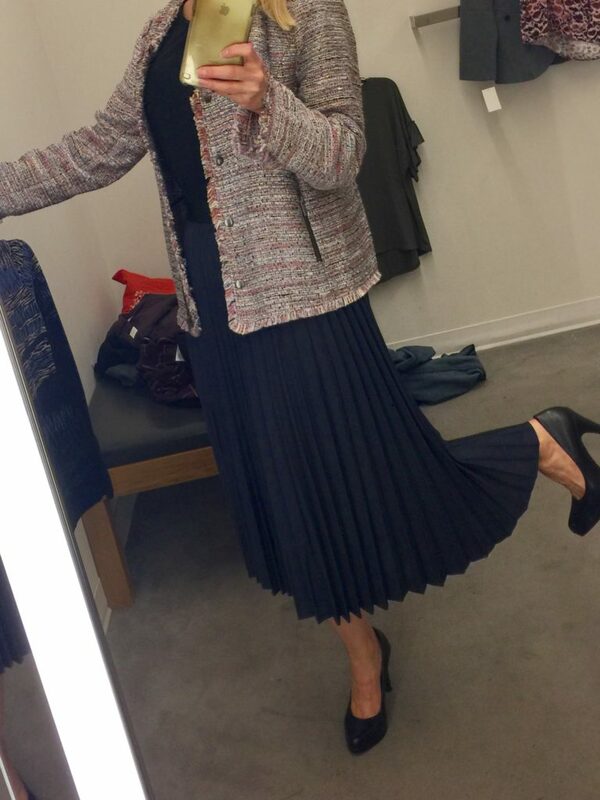 So, I went back to Nordstrom Anniversary Sale to get more dressing room selfies. 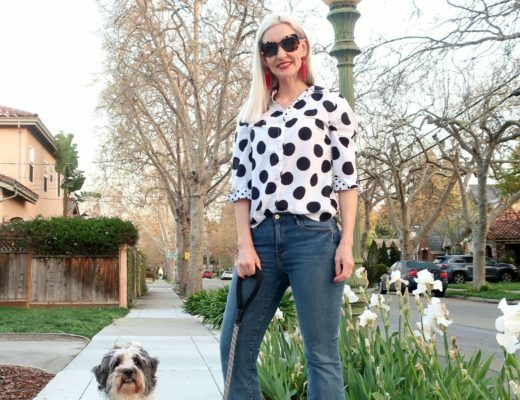 I know some of my readers don’t have easy access to a Nordstrom and they want to see how the clothes look and fit. I got a request to see more dresses and career wear, so I did my best and tried on everything I could find. It was a bit frustrating because so many styles and sizes were sold out already at our local store. 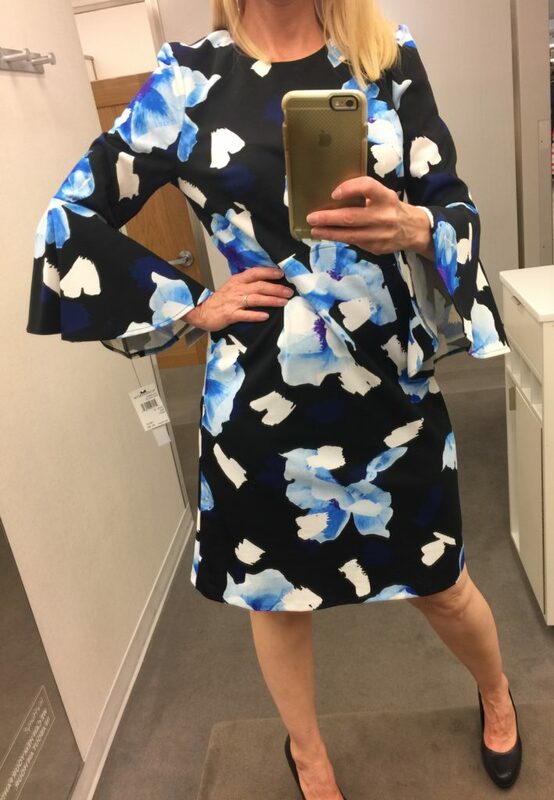 This Vince Camuto dress was such nice fabric and a great length, but I could only find a 10 to try on, so it’s too big. Isn’t the hot pink shade pretty though? 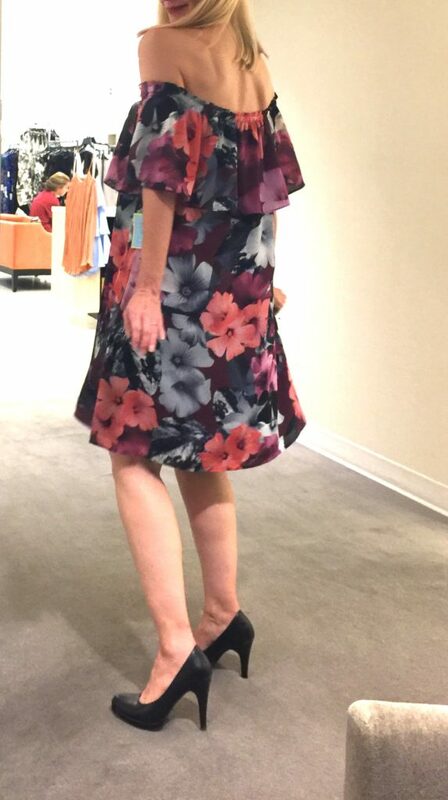 This pretty Ce Ce off-the-shoulder floral chiffon dress might have been a winner for me in a size small, but I could only try on a medium. However I loved the pretty print! This little cold shoulder Eliza J. fit and flare dress was one of my favorite. The fit and flare silhouette is universally flattering, and especially kind to a pear-shape figure like mine. My only complaint was the length, but that’s my usual complaint anyway. (I prefer to cover my knees if possible.) I would totally wear this though in the fall with tights and boots! And it comes in four luscious colors! I’m wearing a size 4 and it fits like a dream. This Maggy London dress was on point! 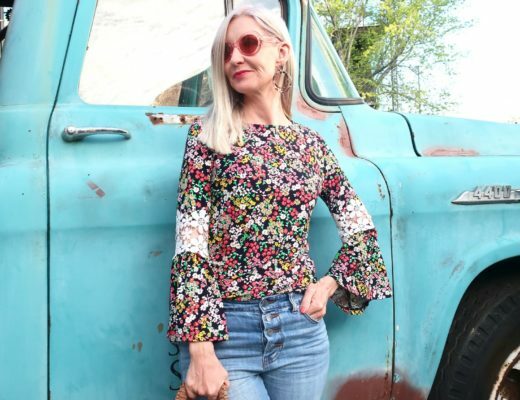 Love the pretty floral print and the bell sleeves. The sheath cut is not super flattering on me and again I couldn’t find the right size (this is a 10), but on the right figure with the correct size, I think this dress is totally a winner! I think this little black and white number was my favorite dress of the day and of course it was also an Eliza J fit and flare. I’m wearing a size 4. So these trousers from NYDJ were my favorite pants of the day. The fabric is really nice, thick and stretchy, but not clingy, with lift-tuck technology! They are a great pair of slacks for work and come in black and gray, as well as the navy. I’m wearing a 6, so I’d say they are true to size. And I’m wearing a high quality Nic & Zoe jacquard sweater in a small. These NYDJ black knit pants were also really nice. Love the little zipper detail on the ankle. I’m wearing an 8 in the pants and a medium in the pretty Halogen bell sleeve sweater, so both were too big on me. I think a 6 and a small would’ve been perfect, so I’d say they run true to size. 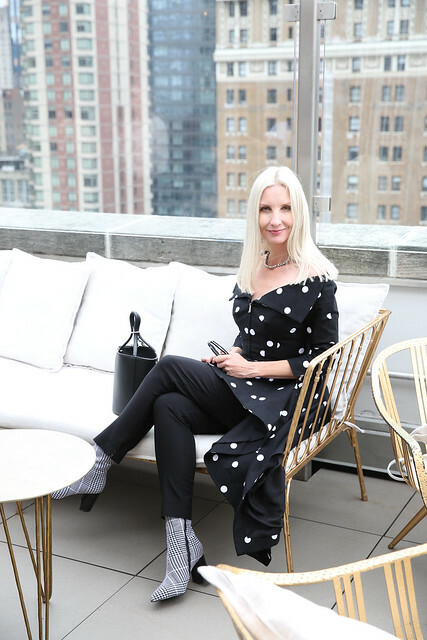 Here I’m wearing the Treasure and Bond blazer in a small. I can’t say I liked the feel of the fabric or the cut too much to be honest. I did like this pretty blouse by Caslon (linking the plus size because that’s all I can find right now. Maybe they are temporarily sold out? I’ll keep you posted.) Fab fall colors, right? I’m wearing an XS and it’s perfect. These plum jeans are also Caslon and I think they run a bit small. I’m wearing a 30 and usually I wear a 28. 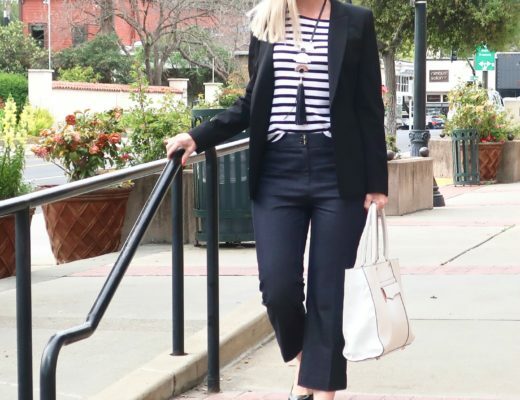 These Halogen charcoal pinstripe pants are a good career basic. These were a size 8 and too big. I think the size 6 would’ve been perfect and so it’s true to size. Loved the colors of this Paige flannel shirt! It was a bit pricey, but the fabric was really nice and so soft. This is a small and I think it fit the way a flannel shirt should, right? 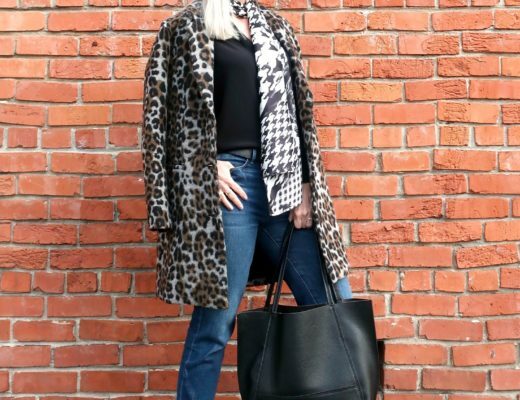 This cute tweed jacket is a large and I’m swimming in it, but isn’t it pretty? And I think this Halogen pleated skirt would make a great work skirt, comfortable and modest. I’m wearing a medium which is too big, but I think the small would fit perfectly and so runs true to size. Sorry if me modeling all the wrong sizes is frustrating! It was frustrating for me for sure! But some of these items are spectacular and everything is selling out, so I would grab what you want from the sale soon, Ladies! Remember prices go up August 7th. And in case you missed it, here’s my Dressing Room Selfie Post Part 1, with lots of tops, sweaters, jeans, and jackets! Though the sale items were well picked-over in the store, the trip was still tons of fun! Cathy of Bay Area Fashionista came along with her adorable 11 year old daughter. 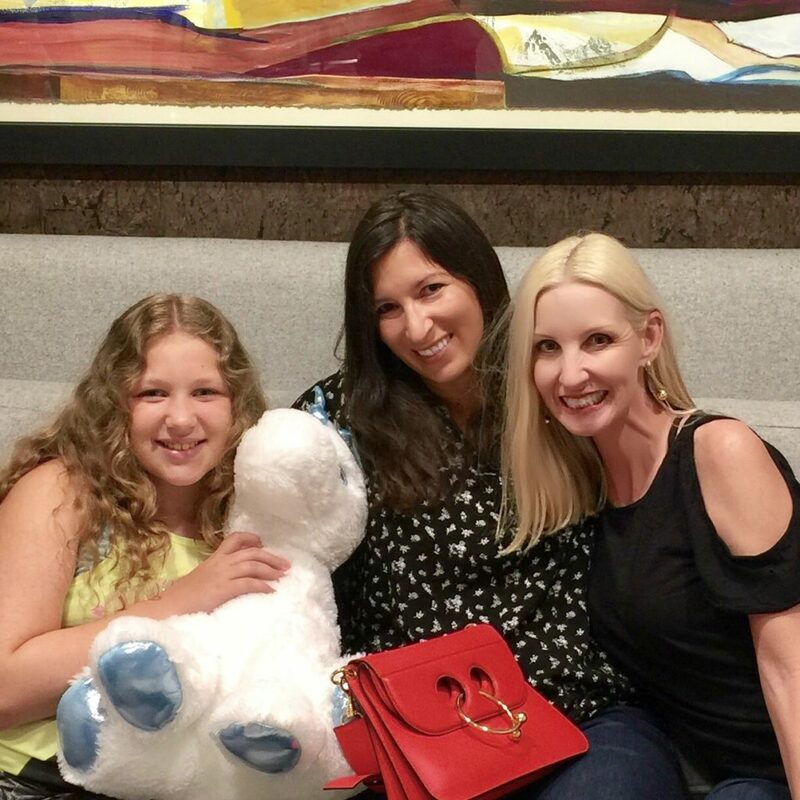 Shopping, lunch, and unicorns?! Girl time at its best!! That black and white dress is perfect and the blouses are great! We don t have that brand here in the Netherlands! I really wish I could get hold of these here. These all are owe-some.